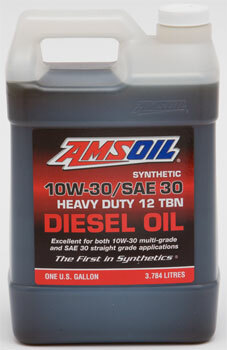 AMSOIL Diesel Oil 5w-30, 5w-40, 10w-30, 15w-40 are premium Synthetic diesel oils providing long life, performance in Nissan UD and American made diesel engines. Built with heavy-duty dispersant/detergent additives, and 12 TBN chemistry neutralizes acids and controls soot thickening from EGR and blow-by to protect against corrosion, cylinder bore polishing (wear) and varnish/sludge deposits. amsoil Synthetic Diesel Oil Replaces Nissan long life Synthetic, Shell Rotella, Cummins Blue and Mobile Delvac. Engineered for pre-2007 diesel engines in on-road applications as well as all model year diesel engines in off-road applications. High 12 TBN controls acids from combustion blow-by and EGR . Additives control soot thickening, oxidation and wear. Extended drain capabilities reduce downtime and motor oil expenses. 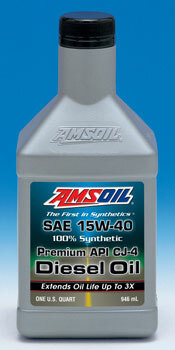 OE 15W-40 Synthetic Diesel Oil (OED) Lowest Price, regular drain. Many diesel oils will survive the 100 hour "heat soak" test, but..., with considerable deposits and incipient oil passage blocking. If you use low quality diesel oils make sure you let the engine idle for a few minutes after use to allow the engine and turbocharger to cool. This does not eliminate deposit formation but it can reduce it. Take a look at the varnish deposits in this picture. These are the results of a severe high temperature deposit test. 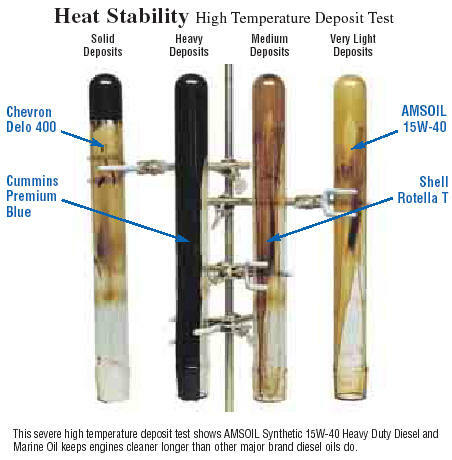 This test clearly shows that AMSOIL diesel oil keeps engines cleaner longer than other major brands diesel oils. Which oil would you rather have protecting your engine? We are here to help you learn the facts and show you how you can use AMSOIL and get a superior product and also increase the performance and add to the longevity of your Diesel plus save time and money. Diesel trucks are excellent vehicles and exceptionally well engineered. In our opinion they are one of the most advanced vehicles ever produced, however there are ways to make the performance and longevity even better with AMSOIL Synthetic Lubricants.